The growers and farmers of the collective focus on growing quality and specialty blooms that are sold throughout Ontario. They strive to grow their product using ethically and environmentally safe practices. Their operations range in size from a collection of small plots in the west end of Toronto, to acres in Prince Edward County. Some growers travel to The Collective from, Hamilton, Niagara, Barrie and Peterborough to bring their beautiful harvests to our Toronto florists. They are members because they believe in the importance of community and local, ethically grown product. 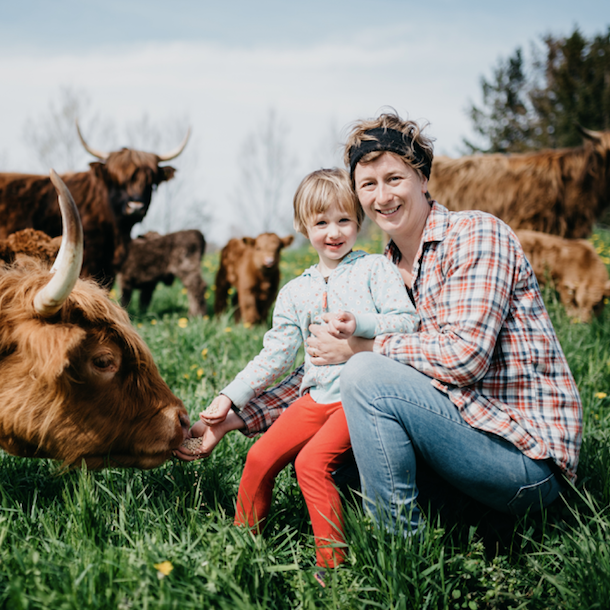 Sweetgale Gardens is a small, ecologically-focused farm and design business at Earth-To-Table Farm in Flamborough, ON. From 2013-2015, Sweet Gale Gardens piloted her farm business at Fresh City Farms Downsview Park, Toronto. While our fellow farmers aim to feed the body, we want to feed the soul. We believe beauty is an essential, inspiring part of life and we share it through flowers. We recognize reciprocity: the healthier the farm, the more beautiful the bloom. Floralora Flowers is a sustainably run flower farm and seasonally inspired floral design studio. Located in beautiful Prince Edward County, Ontario, we are committed to providing a wide range of enchanting, locally grown flowers and foliage of the freshest quality to weddings and events, bouquet subscribers, market goers, florists, and grocery stores. In it's fifth year, Floralora grows approximately 3 acres of annuals, perennials, shrubs and vines. Our specialty cut flowers are mostly field grown or grown in one of our three high tunnels, used for season extension and growing more fragile blooms. We aim to bring customers fresh cut blooms from April to November. Sideroad Farms is a small family run farm located in Walter’s Falls, Ontario growing organic vegetables and cut flowers and raising pastured chicken. We sell our products at farmers’ markets, via our summer and winter CSA programs and to local retail and restaurant establishments. As farmers and stewards of the land we are passionate about environmental and human health. We farm organically using no chemical pesticides, herbicides or fertilizers and no GMOs. Our community of customers, CSA members, neighbours and friends are invited to our annual farm tour and supper in August of each year. Greetings from our family and everyone that make Palatine Roses possible. We are proud to grow rose bushes and fruit trees, as well as tender fruit and wine grapes. We are situated on Palatine Hill, a place of historical significance, in Niagara-on-the-Lake, Ontario, Canada. Due to our geographical location we have a longer growing season with higher heat units than most of Canada. This unique location, combined with attention to detail and a holistic approach to soil management results in plants of highest quality and vigor. You are welcome to visit our garden center, where you'll find a rose for every one; exhibitioners, old garden rose fanciers, as well as the environmentally conscious gardener. Today, as one of the “little guys” in the field of cut flower growing, I’m competing with large-scale growers who are producing acres of flowers, so I try to grow specialty varieties that a florist wouldn’t typically find from a large scale wholesaler. Many of the flowers are of heirloom or pollinator-friendly varieties. This allows me to differentiate myself and compete with the “big guys.” I’m also committed to growing my flowers in a completely sustainable fashion. Gardening without the use of harmful chemicals was one of the most important virtues my father instilled into me; he wouldn’t have had it any other way. We are a 6 acre family flower farm minutes from downtown Alliston and Cookstown, only about 20 minutes from Barrie or Newmarket. Our primary focus is providing beautiful, seasonal and sustainably grown flowers to our community. We are retired organic farmers, who just can’t quite stop growing things. 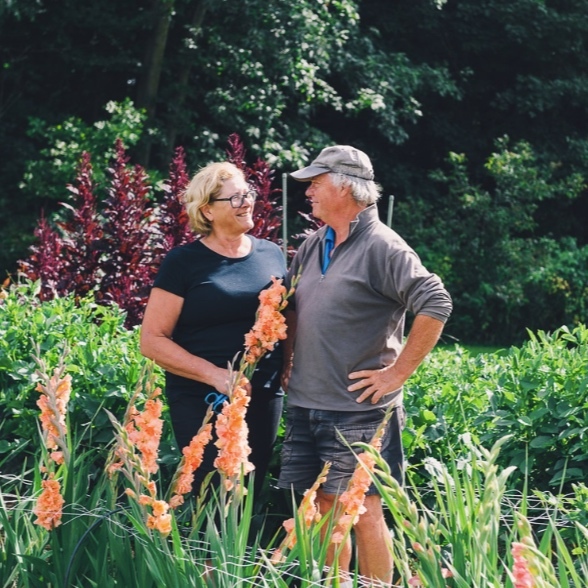 We grew organic vegetables for 30 years and now we are being inspired by flowers. We believe that our production practices should sustain the health of the soil. The health of the soil is a foundation of all other healths. We cannot have diverse healthy ecosystes, and we cannot be healthy people if we do not build healthy soil. Everything starts here. This principle is about the integrity, wholeness and connectedness of all living things. Wild Imagination Flower Co. is based in Peterborough, Ontario. We are a small flower farm growing in Bethany Hills and Peterborough's west end. We grow a wide array of specialty flowering annuals, perennials, shrubs, grasses and herbs to create an ever-changing seasonal palette. Unicorn Blooms is a canadian source for cut flower farmers: dahlia tubers, Italian Ranunculus, specialty tulips, sweet pea seeds. Mount Wolfe Farm’s growing practices reflect our love of this land and our sense of responsibility for its long-term health. This is a responsibility we take very seriously. For the past 50 years, we have demonstrated how reforestation and conservation efforts can regenerate depleted farmland and improve biodiversity, soil health and ecological integrity. We operate from the premise that our whole farm is an integrated system. This includes the management of woodlots, perennial grass–covered fields, our 10-kilometre trail system and market garden plots. We are a small Flower Farm located outside Kingston, Ontario, Canada. We grow mostly Dahlias, but have built up our stock in Peonies as well other varieties of flowers, all sold locally as Fresh Cut Seasonal flowers, sustainably grown by organic farming practices. In 2019 we are becoming Beekeepers, since we have all the food ‘pollinators’ require to thrive, and we are very excited! We believe in the '‘Grown not Flown” philosophy of Flowers. Fresh Cut Flowers can reduce stress and improve your mood, and always bring smiles! bloem (bluːm: the Dutch word for 'flower' or 'flowering plant') is a small scale flower farm and design studio located on a third generation farm in Adjala-Tosorontio. bloem focuses on seasonal designs and sustainable growing practices, with a growing season from May to November. 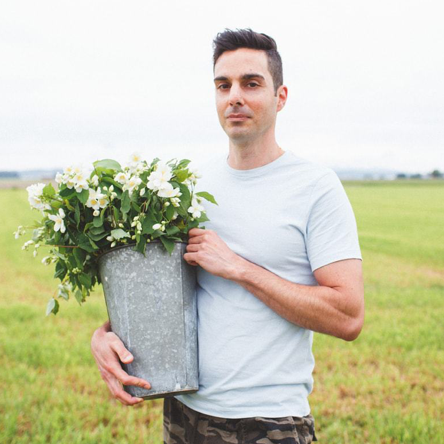 Wholesale flowers are available for industry professionals through The Local Flower Collective. Susannah van der Zaag is a floral designer and farmer with a background in fashion photography and sculpture. Her work has been exhibited internationally.